This post is part of a compensated campaign in collaboration with LUBRIDERM® and Latina Bloggers Connect. Monday through Friday, I wake up at 7am. My mornings are all about getting the kids up and out the door. After getting out of bed, I wash my face and brush my teeth, then go downstairs and let the dog out. I listen to the news and start making the girls’ lunches before waking them up at 7:15. They get out of bed and get dressed while I make breakfast. Breakfast for the girls is usually something quick and light – a bowl of cereal, oatmeal, toast with butter and jam, a piece of fruit, milk, orange juice… the regular breakfast fare. Sometimes they’ll even make their own. They pick up their dishes (most of the time) and run upstairs to brush their teeth and comb their hair. A couple of minutes before 8, the girls quickly put on their coats and gloves, grab their backpacks and lunches, and I give their hair a quick touch up before kissing them goodbye. I’ve been known to give them a little push out the door, especially on Monday mornings. 😉 We’re fortunate that the bus stops right in front of our house so they don’t have to walk far or wait outside for very long. I have the luxury of working from home, so my day pretty much starts at 8:01am – I fix myself breakfast and enjoy it with a big cup of coffee while watching a morning news show or reading the news on my tablet. Then I open up my computer, check email, pay bills, and get some work done. On weekends, I’ll sleep in until 8, if I’m lucky. One detail I haven’t mentioned, which is an essential part of our daily routine, is moisturizing. I tell my daughters that if they want to maintain a youthful appearance as they get older, slathering their skin with lotion is a must! They may not understand it now, but I bet they’ll thank me when they’re older and they don’t have rough, dry skin like that alligator from the LUBRIDERM® commercials. a bottle of lotion next to every sink to use after hand-washing. LUBRIDERM® Daily Moisture Lotion is fast-absorbing and light. The air inside is so dry because the heater runs all day, and the cold outside really hurts sometimes! I feel my skin tighten up as the chilly wind hits my face when I walk the dog. Not to mention the harmful rays of the sun! I read somewhere that the sun is actually closer to the earth during the winter. I use LUBRIDERM® Daily Moisture Lotion SPF 15 during the day on any exposed areas for extra protection. My Transitions glasses get dark within seconds of being outside, even on a cloudy day – so that says it all. I think moisturizing your skin at night, while your skin is still wet after bathing, is probably the most important step, however. This way the moisture is sealed in and gives your skin a chance to ‘repair’ itself while you’re sleeping. I remember when my girls were little, this was my favorite part of the day – massaging lotion onto their backs and their chubby little legs and seeing them get so relaxed. They’re big girls now, but the lavender and jasmine scent of LUBRIDERM® Daily Moisture Shea + Calming Lavender Lotion takes me back! Lotions do more than just moisturize your skin – they give it a little boost of important vitamins and nutrients as well, like the deeply nourishing Shea butter and vitamin B5 in LUBRIDERM® Daily Moisture Shea + Enriching Cocoa Butter Lotion that I use before bed every night. It’s DIVINE! From the moment my girls wake up, to the time they close their eyes at night, I put #FamiliaFirst. But I take care of myself, too. Everyone deserves to have healthy, comfortable skin! I have been using Lubriderm for many years. It works so well. My daily routine is rush rush rush! I need to make more time to lotion myself at least twice a day! I try to before bed and it is so important. My dad uses LUBRIDERM and he loves it. He has very dry, flaky skin for some reason. 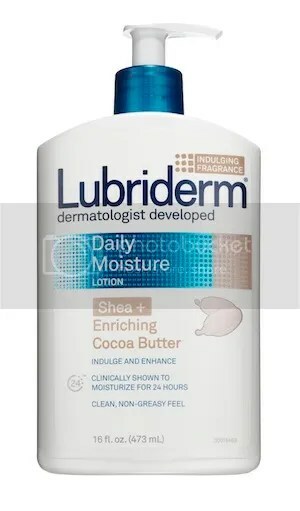 I’ve heard good things about LUBRIDERM but I’ve never used it myself, perhaps I should give it a try. The one product I use religiously is moisturizer. Living in Southern California, I have to! Lubriderm is what an esthetician suggests, if her clients are not, or don’t want to, purchase expense moisturizers – I use it as a body moisturizer! Donna Ward´s last blog post ..Need Some SEO Optimization? Moisturizer is essential to get rid of dry skin and LUBRIDERM is best for fast relief. If I don’t moisturize, my skin is just like sandpaper… not kidding. I am dry, dry, dry. I have use Lubriderm before. Terry´s last blog post ..Our Granddaughter Modeling Her Jackets ~ The Grandson Thinks He Is A Super Hero! 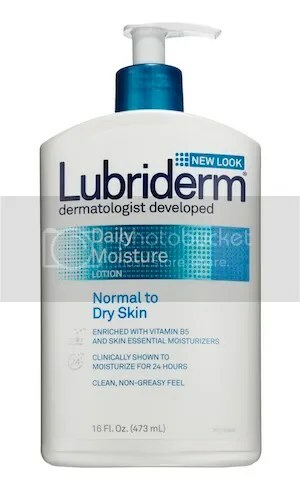 Lubriderm is a great lotion. I use it a lot in the winter when my hands and feet start to dry out. It is very important to take care of your skin. Moisturizing it during the winter is a must. Never tried out Lubridem before, but I am a big fan of moisturizing; I love how nice and smooth my hands are! We have Lubriderm in the house too. It really does work great, especially in the winter! I use lotion every night before bed. I really need to use it more than that. My skin stays dry during the winter. I need this for my feet. They are so dry and yucky. I will have to add it to my daily routine. I used to use Lubriderm, I haven’t used it in months but when I did it worked wonders. It’s a different kind of dry here in this new state and it didn’t work as well here so I now use something else. I have heard about this product- it works so well with dry skin. it used to be my bestfriend way back when my skin was cracking up.